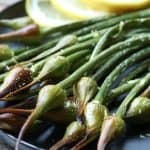 Garlic Scapes – You can air fry them, roast them or grill them! It’s Garlic Scape Season (also called Garlic Spears) here in the Northwest! My favorite time of year! Even my youngest son gets excited. I brought home 3 bunches today! They are available only a few weeks out of the year. Well for those of you who don’t know about Garlic Scapes and believe me there are quite a few people who have never heard of them – they are the flower stalks that spring out of the garlic plant bulb. Farmers remove the bud in late June to encourage the bulbs to thicken up. Before the garlic flowers appear, the scape begins to curl into neat coils. Often times they are bundled like asparagus or green onions. Garlic Scapes have a milder flavor than garlic. 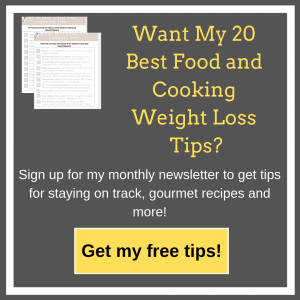 I love to use them raw in stir fries and salads, but my absolute favorite way is to air fry, roast or grill them. So easy! You eat them with your fingers! So crispy, salty and yummy! You can only find them in early summer so grab them while you can! Check your local farmer’s markets if you don’t see them in your grocery store. Garlic Scapes (or Garlic Spears) are a great treat in late spring and early summer. Try them grilled, air fried or roasted for a unique side dish. Preheat air fryer to 400°. Wash and pat dry garlic scapes. Lay and space them out separately on an air fryer basket. You may have to do this in batches. Mine is a Breville Smart Oven Air so I can do mine all at once as the baskets are large. Spray with olive oil and season with Kosher salt. Air Fry 5-10 minutes until tips are brown but not burnt. In a traditional air fryer this may take more or less time so watch them carefully. In my Breville it takes about 8 minutes and I don’t have to turn them. Zest a bit of lemon over the garlic scapes and serve immediately. Wash garlic scapes and pat dry. Spray grill with oil. Lay scapes on grill, spray with oil and sprinkle with Kosher salt. Grill until tender and ends are brown, turn them as they start to brown. Zest with lemon and serve! Place a piece of parchment paper down on a baking sheet. 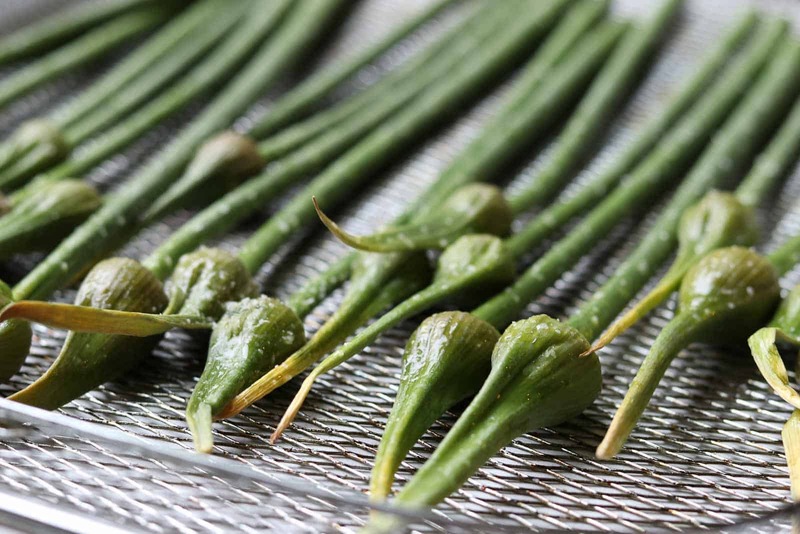 Arrange garlic scapes so they are separated. Spray with olive oil, season with Kosher salt. Bake until tender about 20-25 minutes until tips are crispy. Turn them 1/2 way through. Zest with lemon and serve! 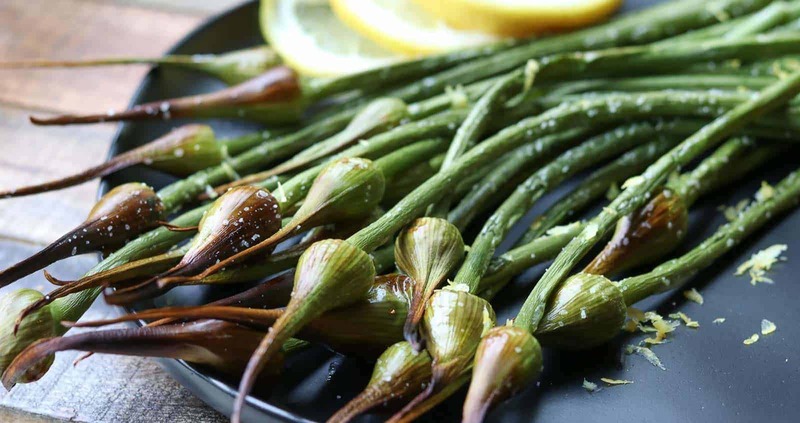 No Replies to "Garlic Scapes and Garlic Spears: Air Fried, Grilled and Roasted"